In the medium-term public investment plan of 2016 – 2020, the central budget was balanced for Van Don economic zone and Mong Cai border gate economic zone. In addition, the state budget must support the project to establish Van Don Special Zone, estimated at VND26.6 trillion. Therefore, the ability to balance state budget for coastal economic zone of Quang Yen is very difficult. The Quang Ninh Provincial People’s Committee has submitted to the Prime Minister the proposal to establish the coastal economic zone of Quang Yen and to add this economic zone to the development planning of coastal economic zones of Vietnam. 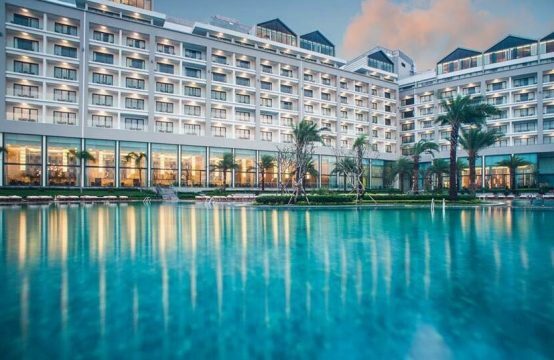 According to the Quang Ninh province project, the coastal economic zone of Quang Yen was formed on the basis of 4 areas, including urban, industrial and hi-tech complex in Uong Bi city and Quang town. Yen; seaport, industrial and urban port services; Dong Mai industrial zone; The total area of ​​the area is 14,630 ha, of which 2,690 ha belong to Uong Bi City and 11,940 ha belong to Quang Yen Town. However, according to the Ministry of Planning and Investment, the size of Quang Yen economic zone is still unclear. 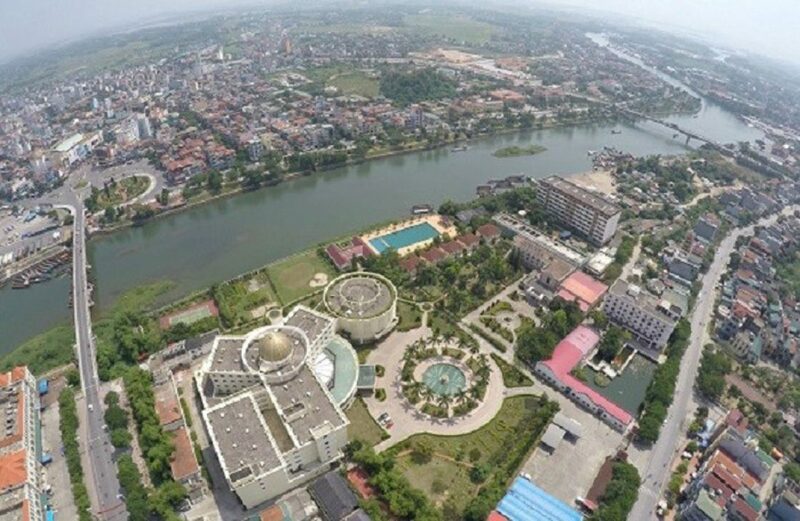 According to the instruction of the Prime Minister in Announcement No.65 / TB-VPCP, the size of the economic zone in Quang Yen town only includes: Mac Dinh Dam industrial and service zone and industrial technology urban area High Tat River. In addition, according to Resolution No. 15 / NQ-CP dated February 13, 2018 of the Government on the adjustment of land use planning up to 2020 and the final land use plan (2016 – 2020) ) in Quang Ninh province, the People’s Committee of Quang Ninh province is responsible for organizing the implementation of industrial zones in the province in accordance with the direction of the Prime Minister on the planning of industrial zones to 2015 and orientation to by 2020, but not to implement industrial zones in the disputed area between Quang Ninh and Hai Phong. On this subject, on 18 May 2018, the People’s Committee of Quang Ninh province has sent a letter to the Ministry of Planning and Investment to confirm the administrative boundary of the project to build business infrastructure of the industrial park, port of total Bach Dang warehouse and service area, Nha Mak Dam, Quang Ninh province is not in the overlapping area and does not fall within the scope of Clause 4, Article 2, Resolution 15. 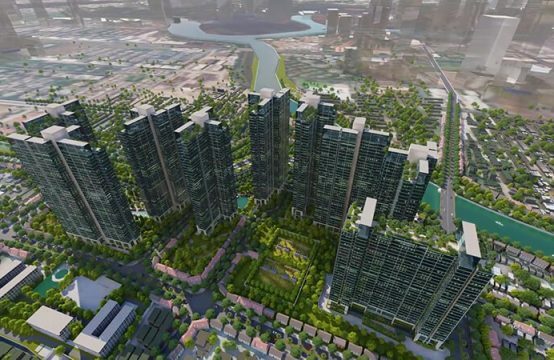 However, the Ministry of Planning and Investment still thinks that because of this dispute is related to Hai Phong city. Therefore, the ministry asked the Quang Ninh People’s Committee to coordinate with the Hai Phong People’s Committee to review the scope of proposals for the planning of Quang Yen economic zone and to report to the Prime Minister clearly clarifying the position of the dispute between the two localities. Ensure compliance with the guidelines in Resolution 15. Is it necessary to build a coastal economic zone in Quang Yen? In the document sent to the People’s Committee of Quang Ninh province, the Ministry of Planning and Investment stressed that in the province, four economic zones were established and operating, including Van Don economic zone. and three border economic zones (Mong Cai, Dong Van – Hoanh Mo and Bac Phong Sinh) with a total area of ​​382,000ha. 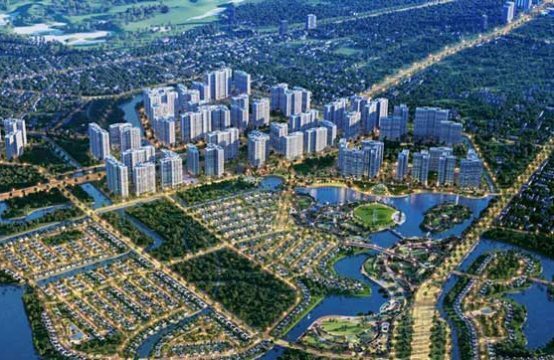 In addition, the planning area of ​​Quang Yen economic zone is adjacent to Cat Vu – Cat Hai economic zone of Hai Phong as well as the Red River delta area and coastal economic zones of Thai Binh (Thai Binh province). Established), Ninh Co Economic Zone (Nam Dinh Province – already planned). 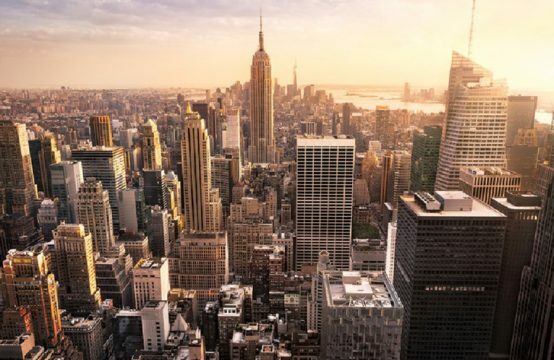 “The concentration of many economic zones in the same area can cause competition between the two. It is therefore recommended that Quang Ninh Province assess the overall development effectiveness of existing economic zones in order to clarify the necessity of the establishment of Quang Yen economic zone and comparative advantages of economic zones. This is the case for the existing economic zones and neighboring ones, “the Ministry of Planning and Investment suggested. According to the ministry, the current land use status of Quang Yen economic zone by 2015 includes: agricultural land of 7,878 ha (annual crop land 2,285 ha, forestry land 3,209.9 ha, aquaculture land 1,151 ha, non-agricultural land: 6,593 ha (residential land: 386 ha, defense land: 34.4 ha, non-agricultural land for production: 2,004 ha, public purpose land: 1,506 ha) springs and specialized water surface 2,434 ha. 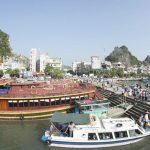 With such a large and varied land area, the Ministry of Planning and Investment (MPI) would like to ask the People’s Committee of Quang Ninh province to make concrete assessments of the advantages and disadvantages of compensation, site clearance, environmental protection and defense and security … if economic zone development. The ministry also required the province to have an analysis of the suitability and connectivity of the proposed economic zone planning area with the relevant plans. For land planning only, form 03 / CT on adjusting land use planning until 2020 of Quang Ninh province (attached to the report on the adjustment of land use planning up to 2020 and plan the area of ​​Quang Ninh province to 2020 is 361,868 ha, allocated to Mong Cai city, Hai Ha district, Binh Lieu district, Van district. Don. “The plan does not cover the area of ​​Quang Yen economic zone,” the ministry said. 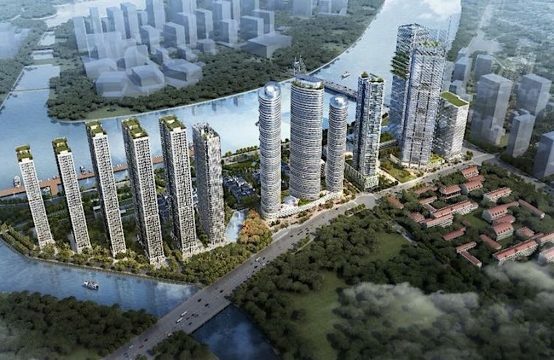 Regarding the demand for investment capital for the economic zone, Quang Ninh province’s project dossiers said that the demand for investment in the economic zone in the 2016-2035 period is VND 161 to 162 trillion. Of which, VND 32.2 – 32.4 trillion will be mobilized from the state budget and will come from the state budget (20% of total capital demand). 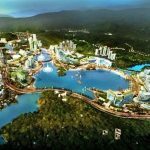 “In the medium-term public investment plan for 2016-2020, the central budget has been allocated to Van Don coastal economic zone and Mong Cai border gate economic zone. 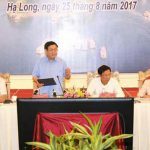 In addition, according to the Van Don special-zone project, the need for state budget support from 2018 to 2030 to support infrastructure investment in the special zone is VND26.6 trillion. “It is very difficult to balance the funds from the state budget,” said the Ministry of Planning and Investment. Therefore, the ministry suggested Quang Ninh province to calculate the total investment capital of the economic zone, the mode of mobilization and the phase of investment in the construction of infrastructure. Based on the determination of the capital structure, the province must assess the possibility of balancing the local budget, especially the indicators of budget deficit and debt. 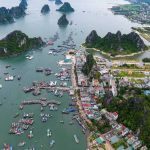 You are reading the article Quang Ninh wants to build coastal economic zone in Quang Yen, Ministry of Planning worried about no money in the Real Estate category at https://realestatevietnam.com.vn/. Any information sharing, feedback please contact through Hotline 0909890897 (24/7) or email to info@realestatevietnam.com.vn.